– We offer a wide variety of full Home inspection services to meet all of your inspection needs in Orange, Seminole & the edges of surrounding counties in Central Florida. ADD-ON INSPECTIONS – For your convenience, we offer a One-Stop experience offering the most common “Add-On” inspections that are often requested by your Lender or Homeowners Insurance company including Wind Mitigation, Four Point, Air Quality sampling, Mold Inspection and more. We recommend that you check first with your Lender and Insurance company prior to ordering “Add-On” inspections. Detail information of these services are shown below. WDO – WDO inspections by MI pest control are available to be scheduled the same day of your Home inspection. SAME DAY REPORT – Early morning inspections receive their primary inspection report the same day of the inspection (within 12 hours). Afternoon inspections are delivered within 24 hours of a performed home inspection which includes Photos and Videos whenever necessary to better explain our discoveries. Digital Reports with the Convenience of CRL™ – To better accommodate your needs, we provide access to the convenient “CREATE REQUEST LIST” feature by HomeGauge. This feature grants users the unique capability to itemize repair list items directly from the report to easily share between Buyers, Realtor and Sellers. New for 2019, as a Thank You for your service, we are offering a 10% Veteran discount off all Inspection services for Active Duty Military & Military Veterans!When scheduling on-line from this website, simply check the Veteran Discount box to receive your instant discount and Thank you for your trust and confidence in us and for your service! 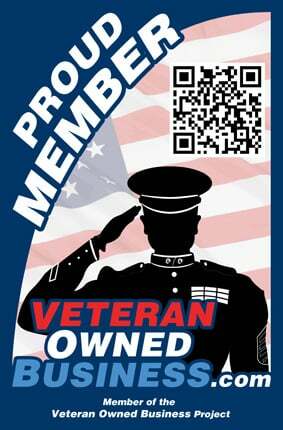 For more information about other veteran owned businesses and available services and discounts, click on the below logo. If you are ready to schedule and receive your home inspection discount, simply click HERE!